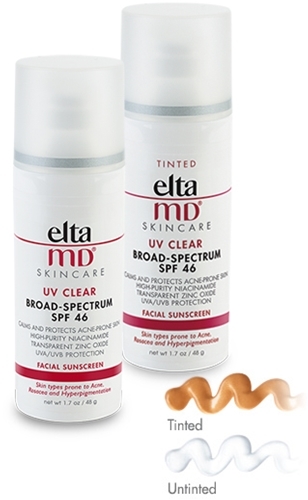 This broad spectrum SPF 46 protects from UVA (aging rays) and UVB (burning rays) while helping to even out skin tone. It is an ideal sunscrean for those that are prone to acne, rosacea or hyperpigmentation. This sunscreen is formulated with 5% high-purity niacinamide (vitamin B3) and this will help to reduce the appearance of acne, blemishes, and skin discoloration.